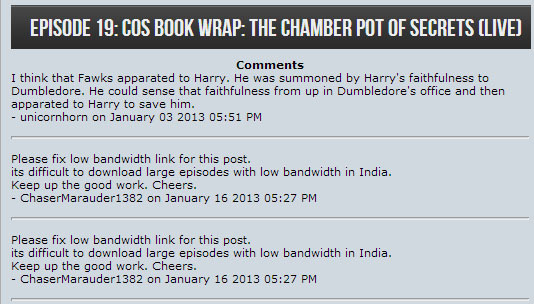 Episode 19 – CoS, Book Wrap: The Chamber Pot of Secrets (LIVE) – Alohomora! The nineteenth episode of Alohomora! is now available for download! Listen in as MuggleNet hosts Noah, Kat, and Caleb host our second LIVE episode. In this episode, the hosts take a final look at Harry Potter and the Chamber of Secrets. They discuss interesting facts about the book, analyze scenes from the movie, and recap some of the great questions and answers from our chat with the amazing Warwick Davis! Also be sure to check out our recently opened Alohomora Store! A few items are already up for sale, with more coming soon!